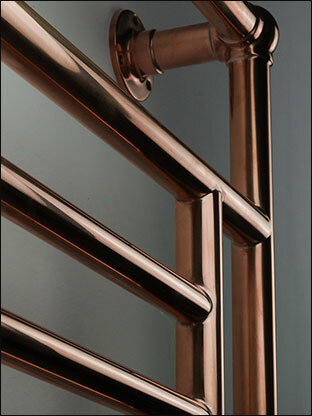 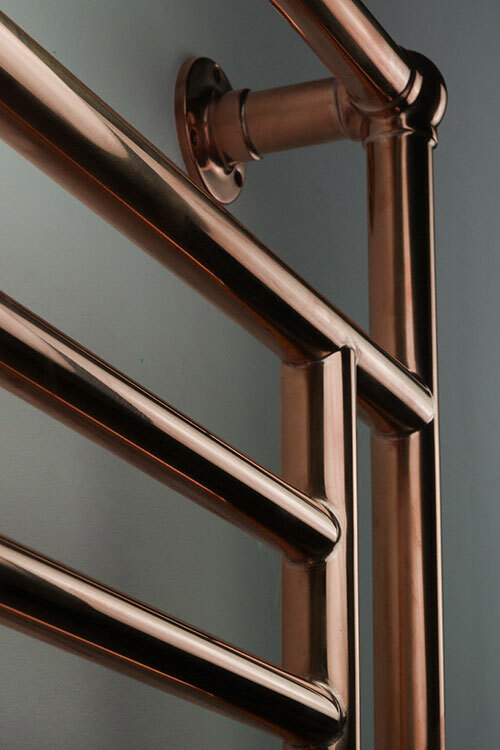 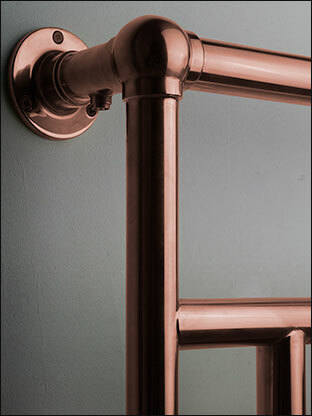 This copper bathroom towel rail is made in Britain to a traditional design with ball joint tube connections. 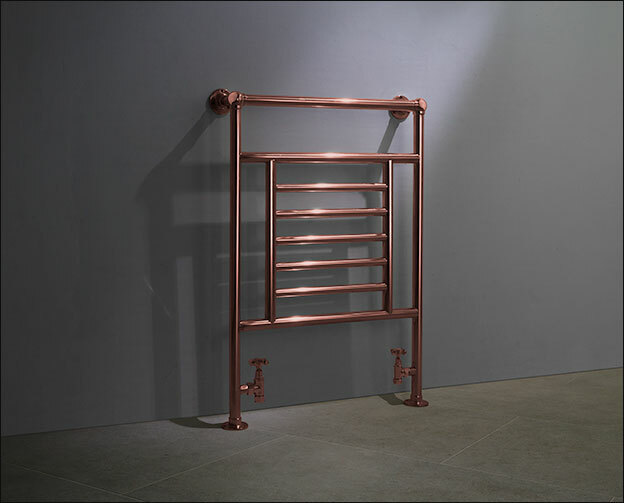 The Old Century copper bathroom radiator is designed with lots of space for easy hanging and quick drying of towels. 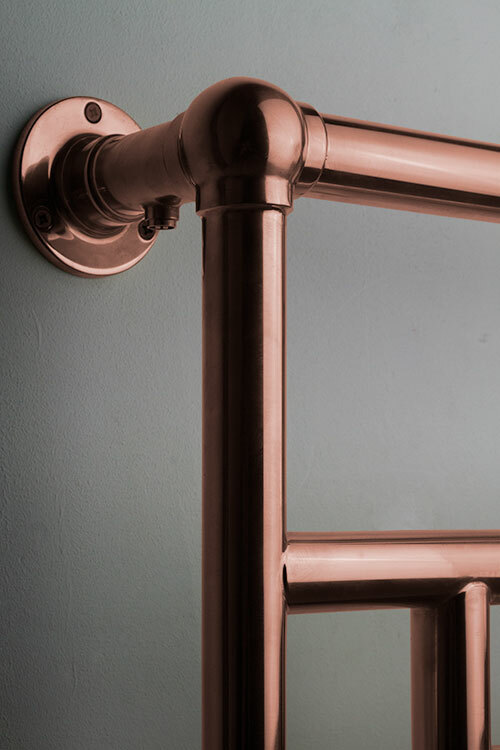 Central heating, electric and dual fuel versions are available with the electric heating elements subtly hidden for tidiness. 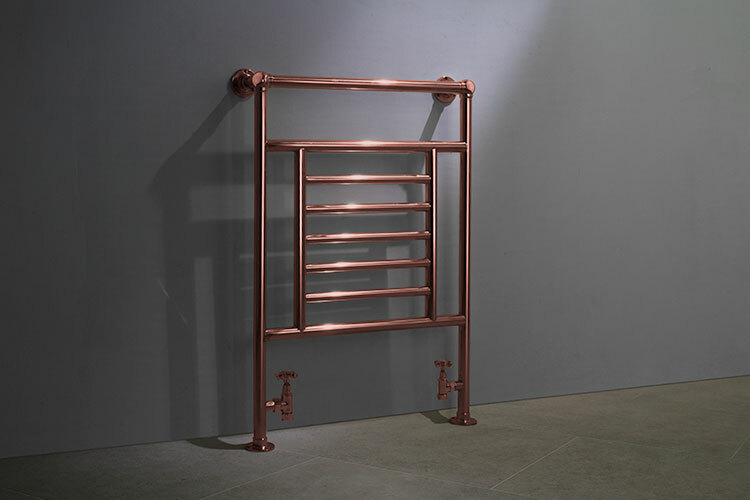 This towel warmer is copper plated to special order.